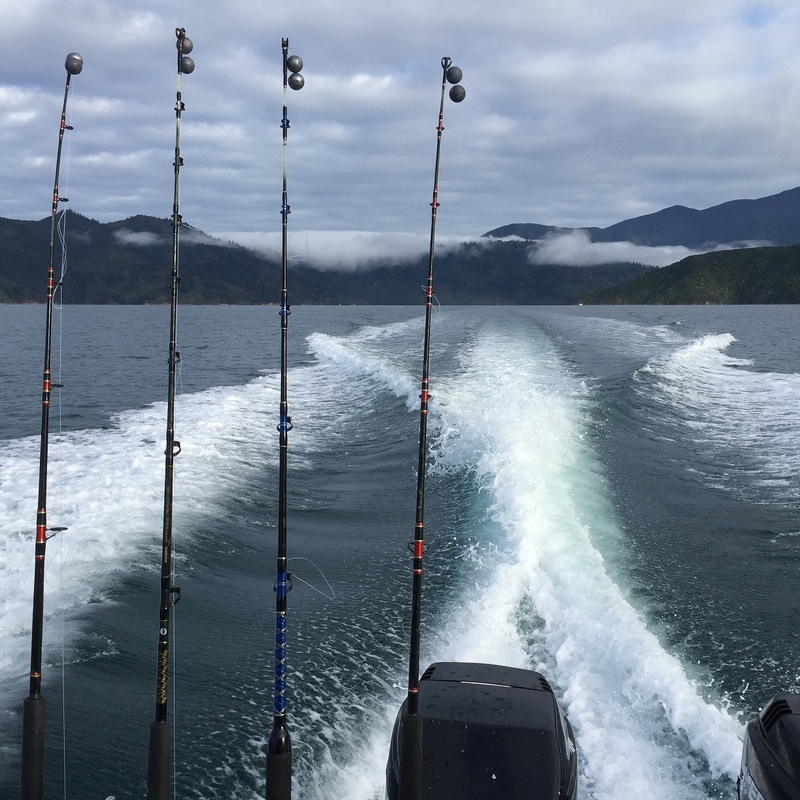 A bunch of mates and I went fishing down the Marlborough Sounds recently. I had an absolute blast! 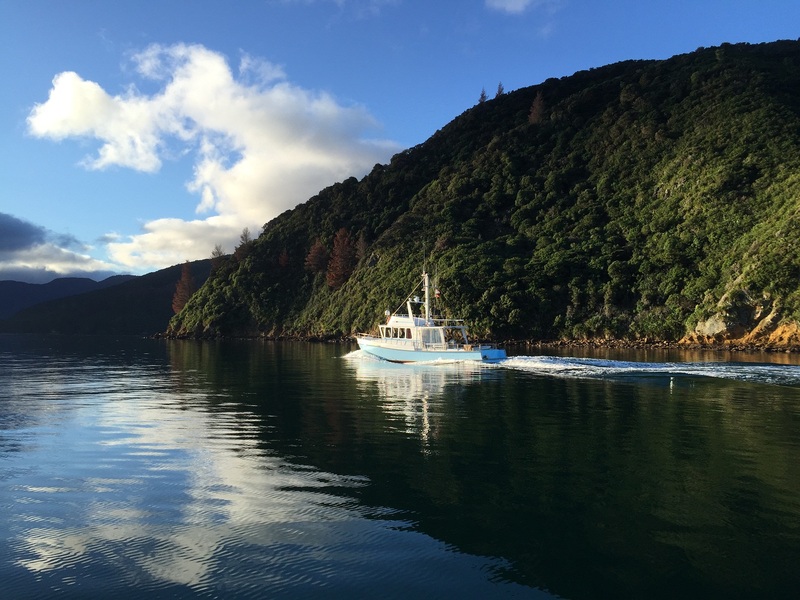 We took the Bluebridge ferry over on the Friday, and checked out Wairau Valley Family Estate, a Marlborough vineyard, for lunch and a wine tasting before getting on the MV Tory for the run out to Furneaux Lodge on Endeavour Inlet. 2014 Wairau Valley Sauvignon Blanc – elegant, refined, with fresh fruit and bracing acids, a classic Marlb. Savvy. Good served at room temp. 2014 Wairau Valley Albarino – I loved this: delicate floral characters, lemon blossom, green apples, white peach, citrus and elegant minerality. 2014 Wairau Valley Pinot Gris – nice: steely, light fruit, but flavoursome with pears and vanilla. 2014 Wairau Valley Reserve Sauvignon Blanc – clean and fresh and more complex that the Estate, fresh herbs, passionfruit. An intriguing salt note. 2013 Wairau Valley Reserve Syrah – Dense, tannic, with blackberries and notes of grapefruit and lemon, leather, and black pepper. 2013 Wairau Valley Reserve Pinot Noir – My fav: complexity. Generous fruit. Lovely floral nose. Soft and elegant. Black cherries. Long finish. I drank this with lunch. Yum. 2012 Wairau Valley Botrytised Riesling – sweet delight, Turkish delight. Long nd sweet and warm. Delish. We then went to a bottlestore, bought a few boxes of beers, and jumped in the boat. The next day we went fishing and caught a boat load of Blue Cod, Tarakihi, Gurnard, Red Cod and a few Barracudas, Carpet Sharks, Parrotfish and a Spotty! This entry was tagged Marlborough, Wairau Valley, Wine of New Zealand. Bookmark the permalink.